Struggling to Afford, Maintain and Keep Up With your Computer Hardware? For many organizations, affording and maintaining their business’ computer hardware in-house is a real challenge. 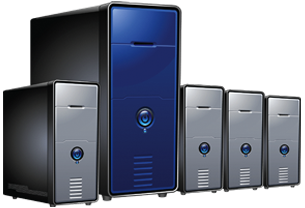 In addition to the initial capital investment and regular maintenance involved, you constantly have to purchase upgrades as old hardware goes out of date. At Idaho IT, we have a better solution for businesses in Boise: HaaS (Hardware as a Service), which provides the hardware and IT support you need at a price you can afford. For any business to succeed today, business computer hardware is crucial, but it’s expensive and requires frequent maintenance and costly upgrades. Traditionally this has been a major disadvantage for small businesses in Boise and across the country, but with Idaho IT’s HaaS solutions, you can utilize the latest technology and keep up with your better-funded competitor’s computer hardware without breaking the bank. Without the distractions and hassles of dealing with your computer hardware on your own, you can concentrate your efforts on growing your business and getting new leads and sales. Plus, productivity will rise as your employees benefit from having access to the most recent technology. And don’t worry — if you have any questions or problems, our Hardware as a Service computer hardware team is based right here in Boise and is just a phone call away. Call Idaho IT’s HaaS experts today to learn how HaaS can benefit your business.